The journey of woman in Indian Cinema is incredible. On this International Woman’s Day, WIFT India launched National Anthem featuring woman from across film fraternities in India to show that the woman is not merely an eye candy or a supporting character but the main hero that drives the story. Launch was conducted in presence of Ms. Petrina D Rozario, Shriya Saran, Usha Jhadav and Dorris. Press conference was followed by Live Performance by Shweta Pandit, Anusha Mani, Sana Mohiditi, Shruti Pathak. 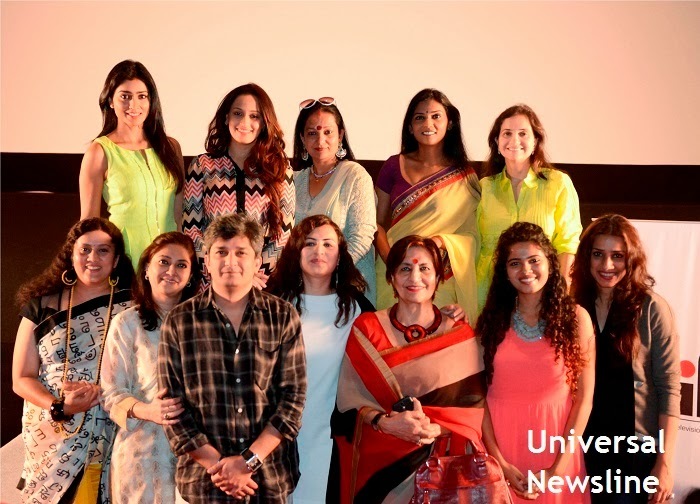 WIFT India takes this initiative to showcase that Indian Cinema does not only need heroes to run a film, actresses run the show with much ease.